Did you know that Boxing Day is historically one of the busiest days of the year for property searches? And that Rightmove had over a million visitors on Christmas Day 2015? Now you can enjoy Christmas and market your property at the same time – here’s how! THIS WEEK – we can visit your home, take our professional photographs before the decorations go up, produce your property details. and then leave you in peace until after the Christmas and New Year celebrations are over. Remember that it takes time for us to prepare for the marketing of your property, including getting floorplans prepared and Energy Performance Certificates (EPC’s) commissioned. We will have a video individually produced for your property too. We think that you need top quality marketing if you are going to sell for the best possible price in the fastest possible time, so we include the above items in our fees. 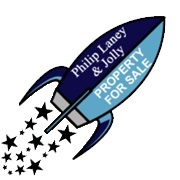 Still NO SALE NO FEE, free valuation and free advice on sale from Philip Laney & Jolly. JUST BEFORE CHRISTMAS – we send out an exclusive email hotlist to pre-registered buyers. We will also market your property to our extensive lists of waiting buyers through our monthly electronic Newsletter, which is distributed to over 5,000 contacts who are interested in property in the local area. We can line up viewings for January. Accompanied viewings are arranged at a time to suit you, when you have had time to take down the decorations and tidy up to show your property in the best possible light. Buyers looking for properties at this time of year tend to be serious about buying, and this can lead to a quick sale. Your property will be listed on Rightmove and our plandj.co.uk web site. From Christmas Day onwards things really start to get exciting, with millions of people coming to Rightmove to find their next home. BOXING DAY - is, in fact, one of the busiest days of the year for property searches, so it’s wise to make the most of this chance to have your home seen by thousands of eager property hunters online. FROM CHRISTMAS WEDNESDAY UNTIL AFTER THE NEW YEAR - we are open most days over the festive period (excluding Bank Holidays) so we can busy ourselves responding to internet enquiries, and staging your property in our window displays. We will also be matching your property with people on our extensive database who are looking to buy, and contacting them with your property details. We will use the latest Facebook targeted advertising to send the video of your property to the demographic that we think might be interested in buying your particular property. Now you can put your property in front of buyers that other agents do not reach. That means a quicker sale, and a better potential price for you. 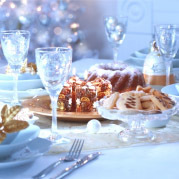 We will provide you with a copy of the video of your property to “share” on Facebook with your friends, and friends of friends, when your festivities are over. So make sure your property marketing is prepared before the start of 2018 – millions of people are expected to visit Rightmove in the first days of January. Remember that it takes time for your agent to prepare the marketing of your property, including getting photos taken, floorplans prepared and Energy Performance Certificates (EPC’s) commissioned. Start now and you’ll be ahead of the game, leaving your to focus on those New Year’s resolutions when January rolls around!